Marty McCann envia-nos da Irlanda do Norte com bastante satisfação as páginas da revista Uberdogmagazine onde o waveski local está em grande destaque. São quatro páginas recheadas com fotos, entrevista com Marty e o waveski em grande ;) Em baixo está o link directo para a revista. It was published in May 2010 in Uberdog magazine. 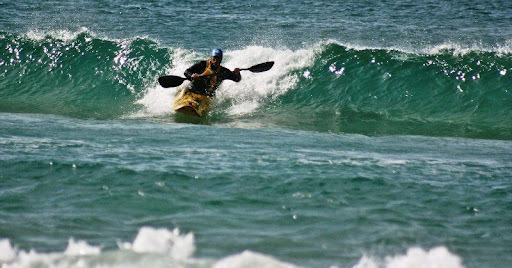 Its a North Ireland adventure sport mag and Marty McCann, local waveski raider, was interviewed. Four pages full of photos and a great interview. Below, you can click on the direct link for the magazine. Congratulations Marty! 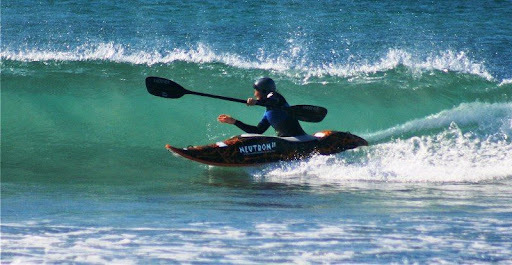 José Morais, gerente da Quiksilver Technical Figueira da Foz e presença habitual nos eventos de kayaksurf, esteve uma vez mais no Ocean Spirit Festival. Depois da ida à Galiza, o RPF Shark da Quiksilver - sempre um dos mais fotografados - esteve de novo em grande na Praia do Navio. Aqui ficam algumas imagens gentilmente cedidas pelo Figueira Kayak Clube. 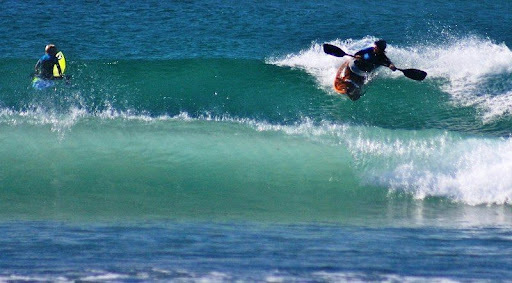 José Morais, Quiksilver Technical Figueira da Foz manager, was once more involved in a kayaksurf contest. 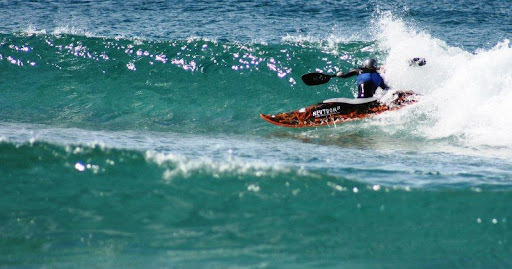 His surfkayak RPF Shark Quiksilver - always one of the most photographed - was in great shape in Navio Beach. All in the RPF Trophy las weekend. 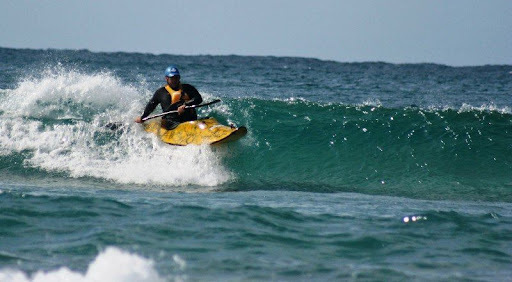 Enjoy the photos (courtesy of Figueira Kayak Clube). 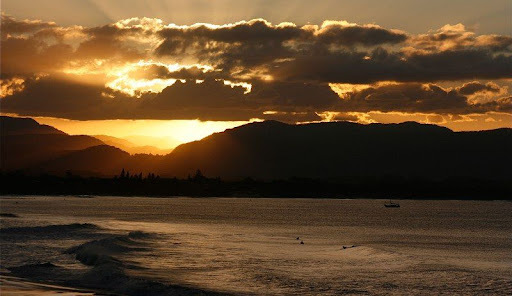 These photos were taken in and around Byron Bay on a recent surf safari to the Far North Coast of NSW of John, Tracy and Ross Boardman - NEWS TEAM kayaksurf.net. It is a 13 hour drive from where Ross and Tracy lives in Jervis Bay (we can be in another country if we drive that far across Europe)... but is well worth it. 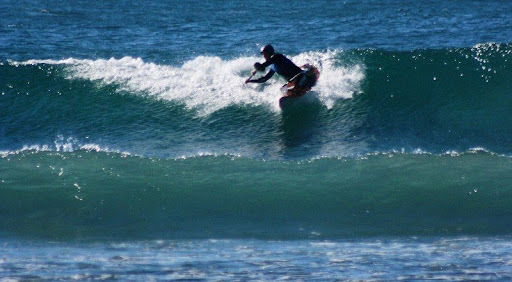 According to Tracy, "The swell really pushed in and cleaned up when I got to Crescent Head (another well recommended surfing destination) a few hours south of Byron Bay on the way home". Thanks a lot all the best for the Great Island! Ocean Spirit / Um trabalho de equipa... de luxo! They are the faces behind the stage. They don't aroude the attention of the photographers and don't step on the stage but the success of this Festival is always in their hands. We talk about the Ocean Spirit Staff, the Speaker, the Judges Directors and the Technical Director. It's their work make all the efforts so things can go smoothly ok. Now, that this year Festival is over, the balance is... VERY GOOD. 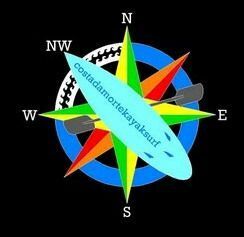 Congratulations for all! André Delgado - Director Técnico da Prova: melhor é impossível André!